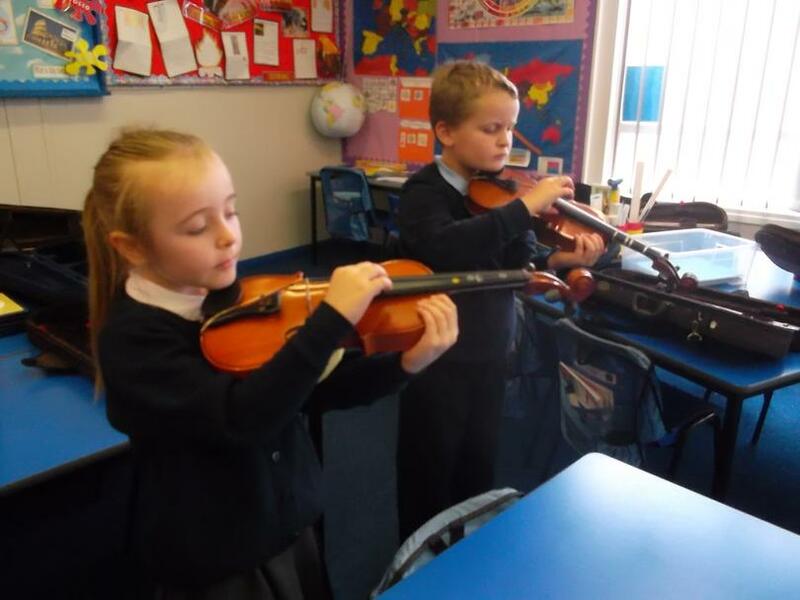 We have been working hard to learn our song for the school show. 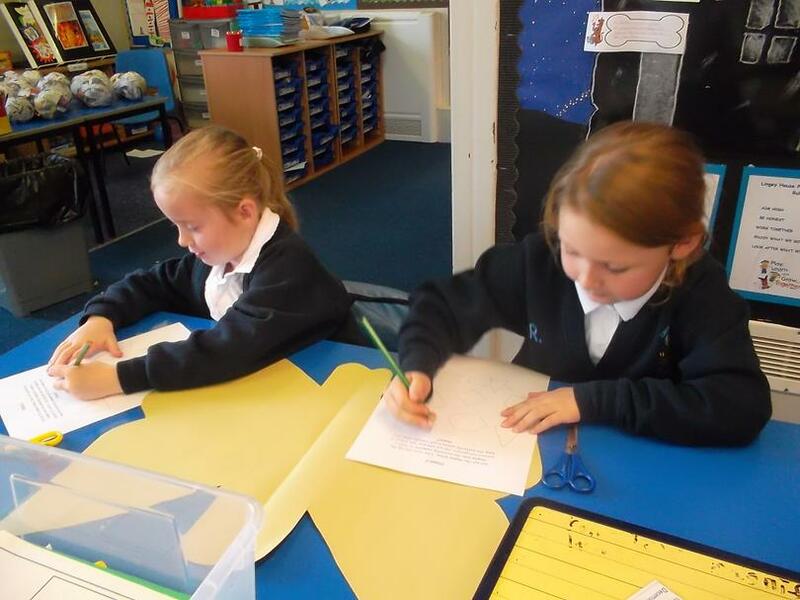 We have loved learning the dance and words to our song Elvis - Jailhouse Rock. 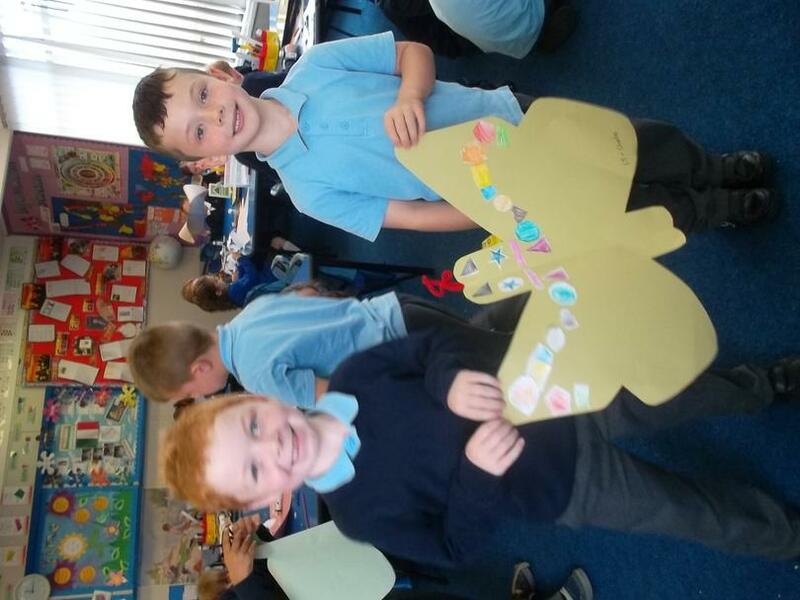 We think that the 50s Rock! 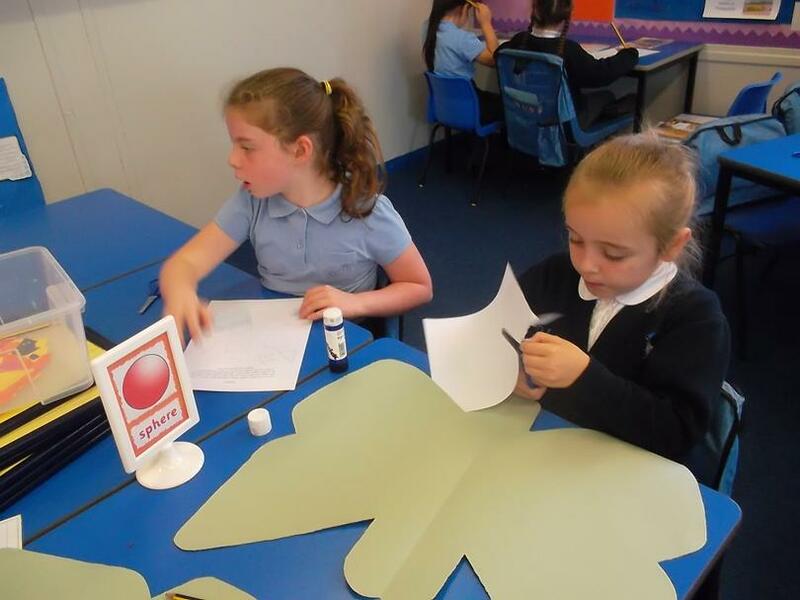 We have been using the Ipads to help us research dinosaurs. 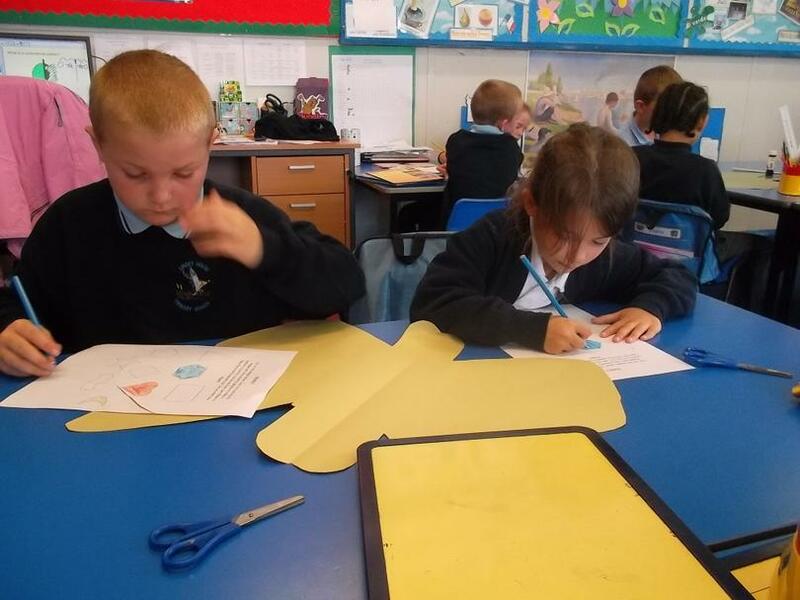 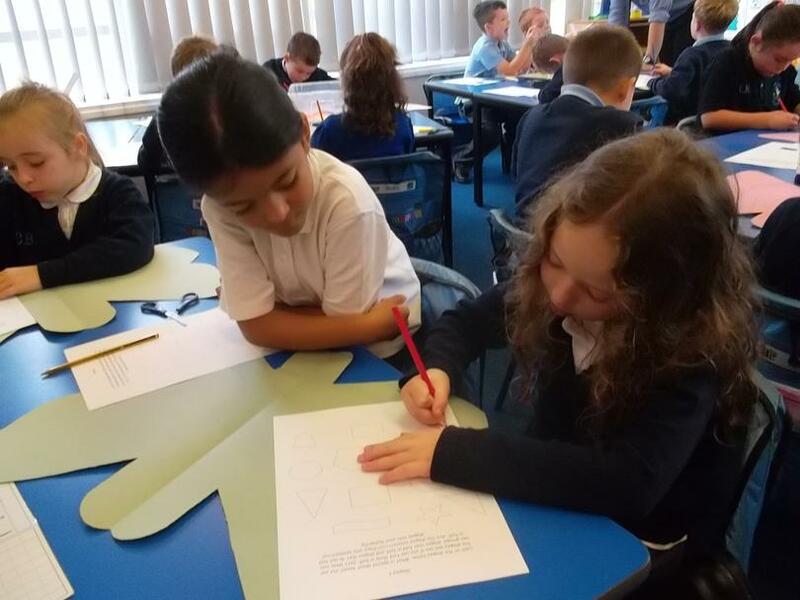 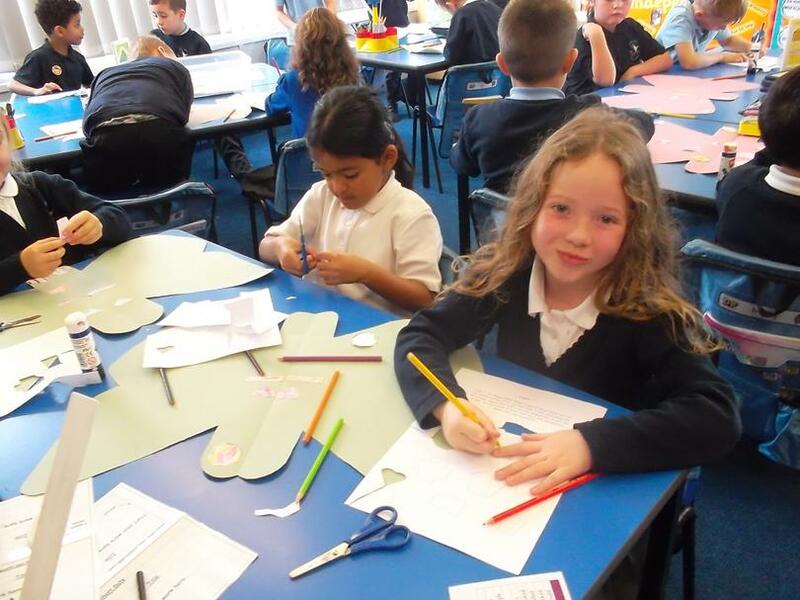 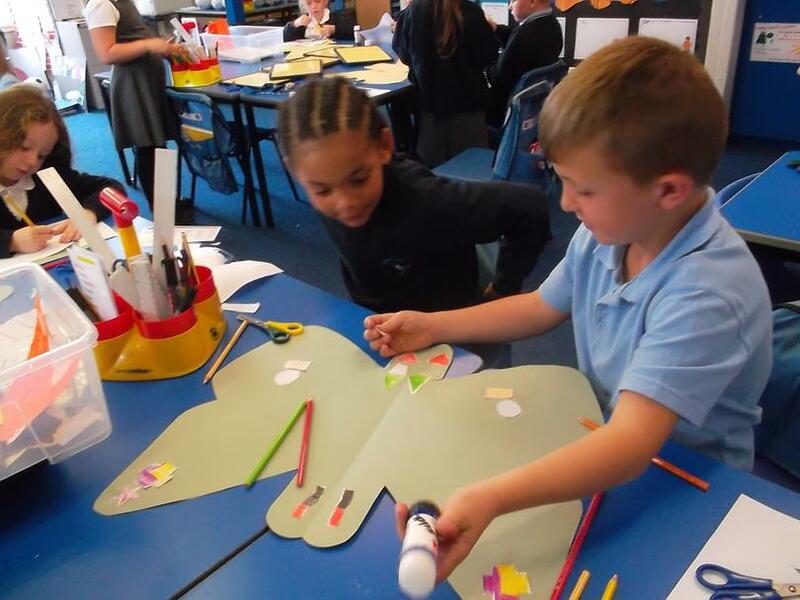 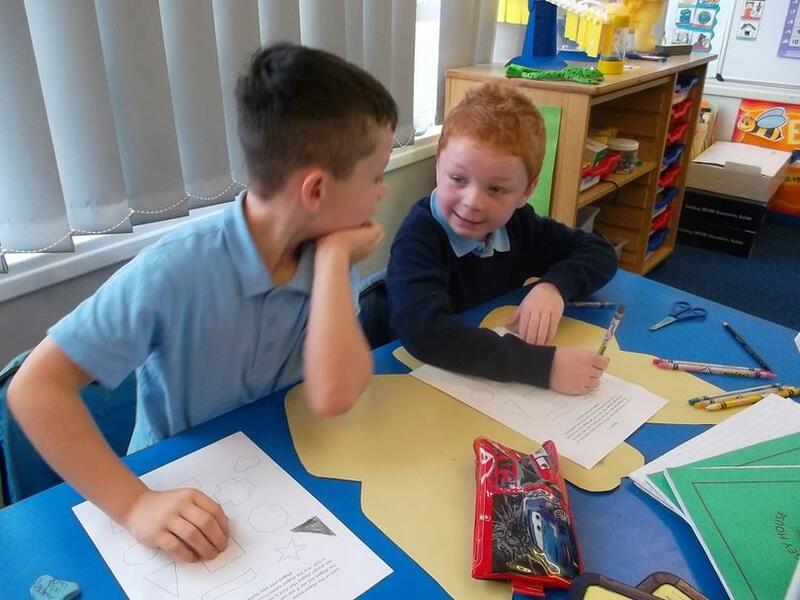 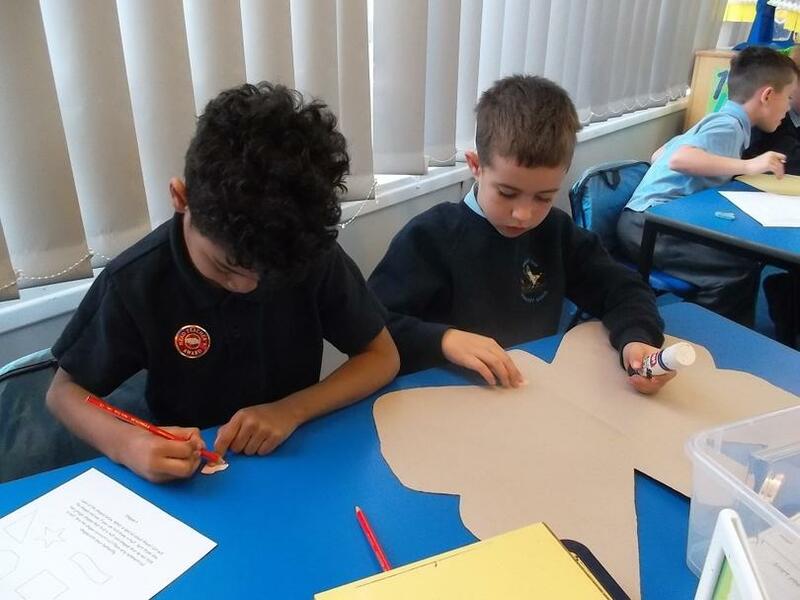 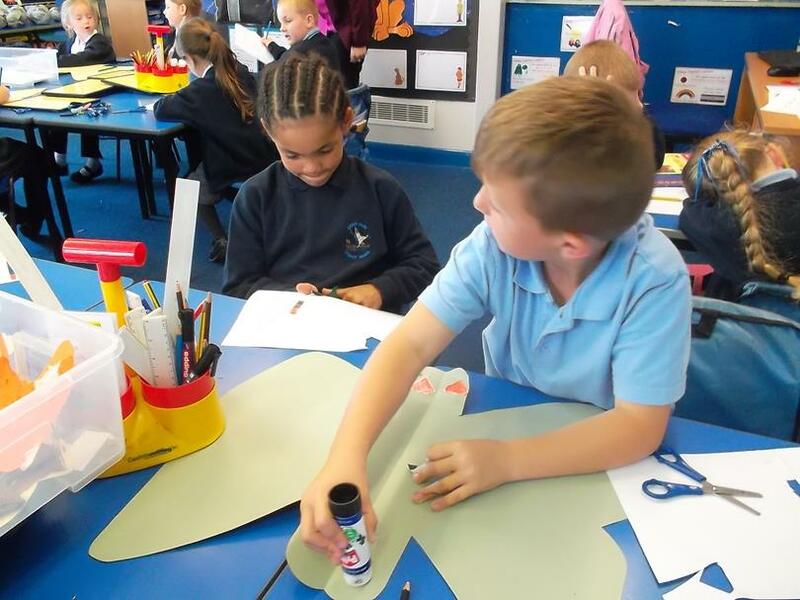 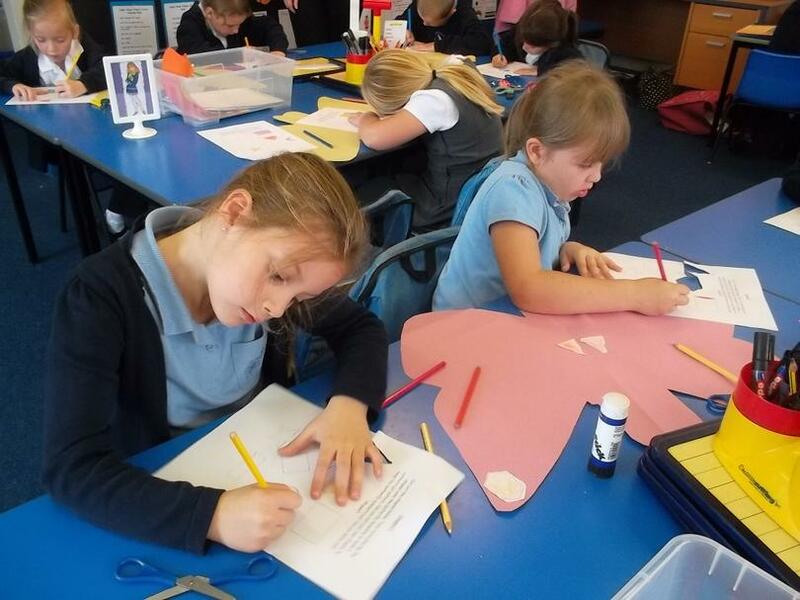 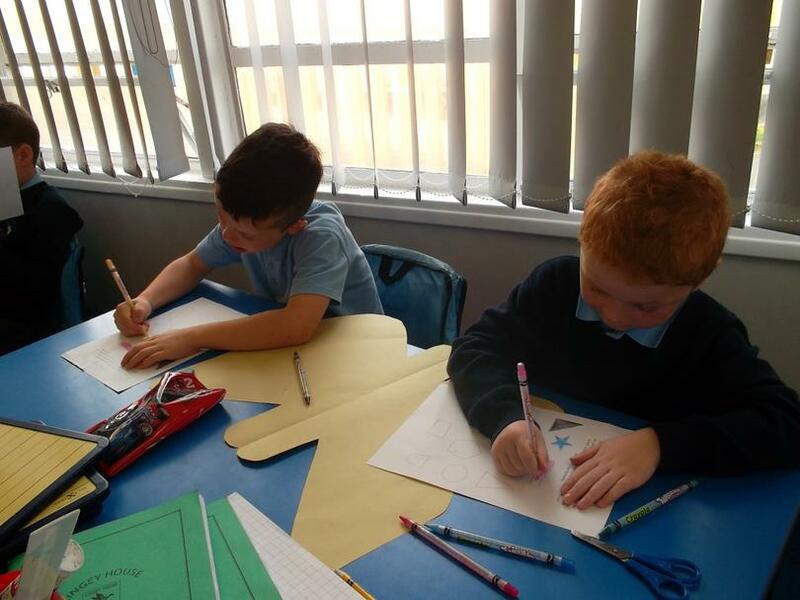 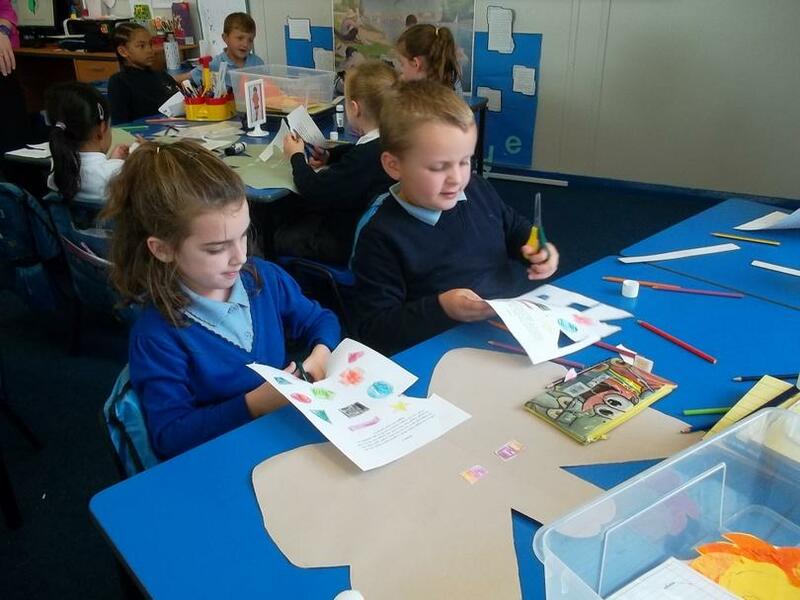 We used the information we found to write an information text all about a dinosaur. 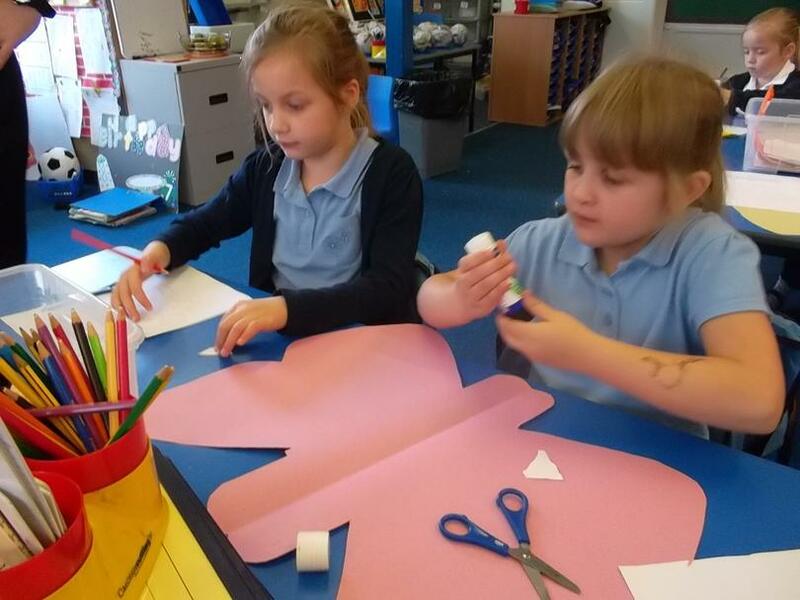 In DT we have made castles. 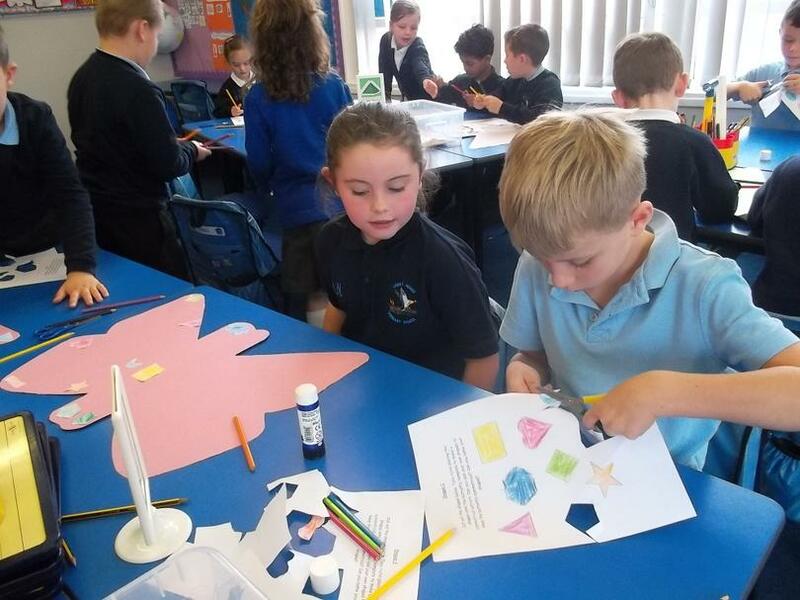 We worked in teams and we all had different jobs. 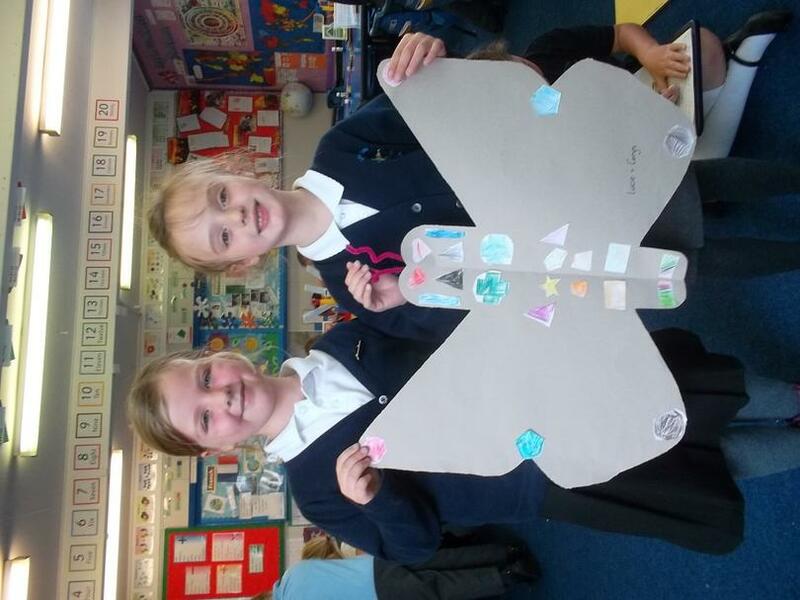 Have a look at our finished castles. 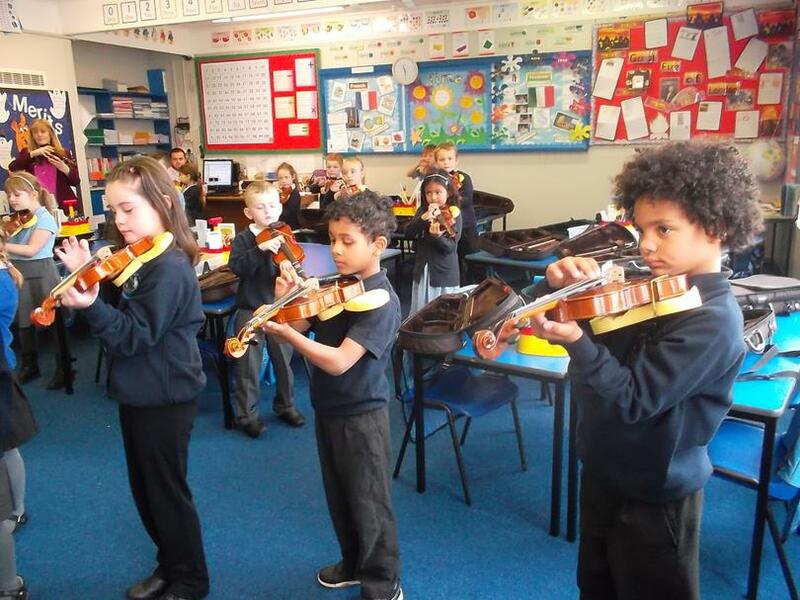 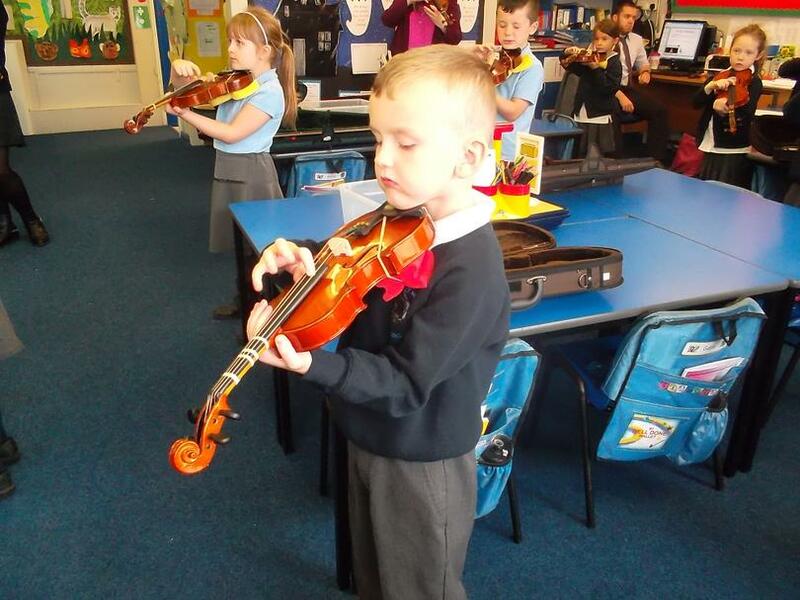 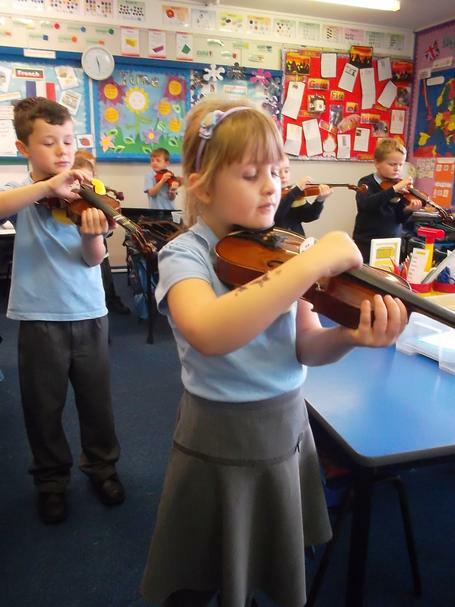 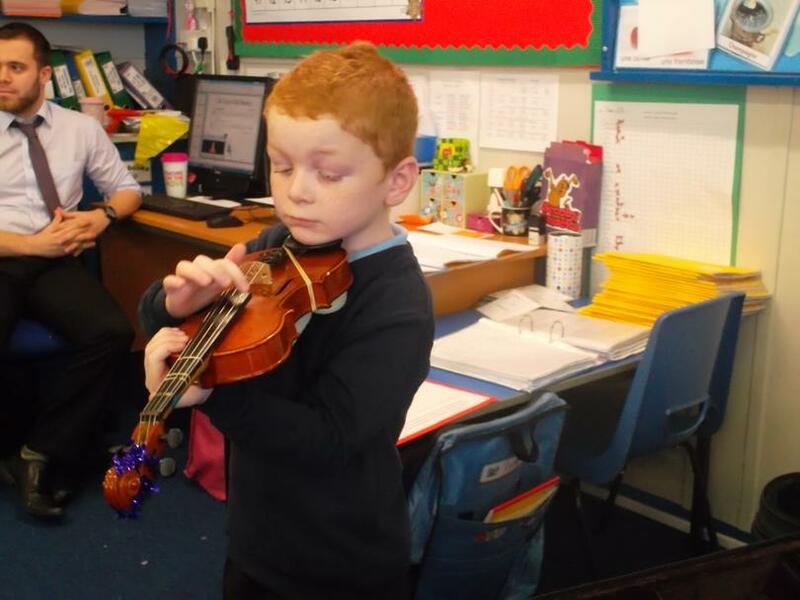 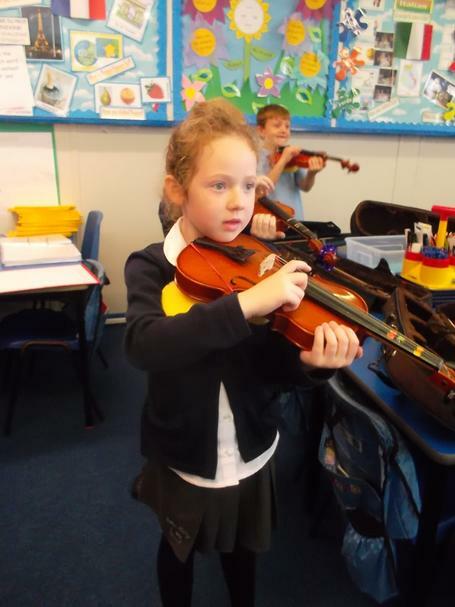 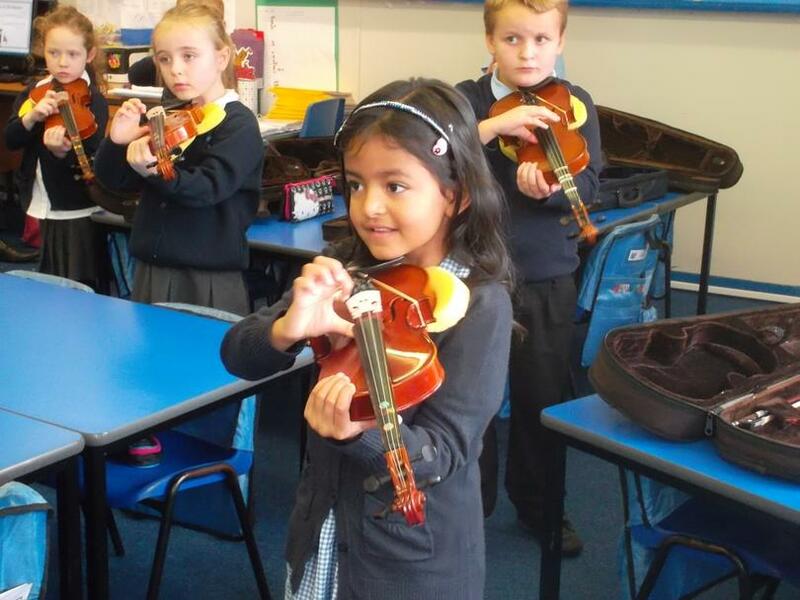 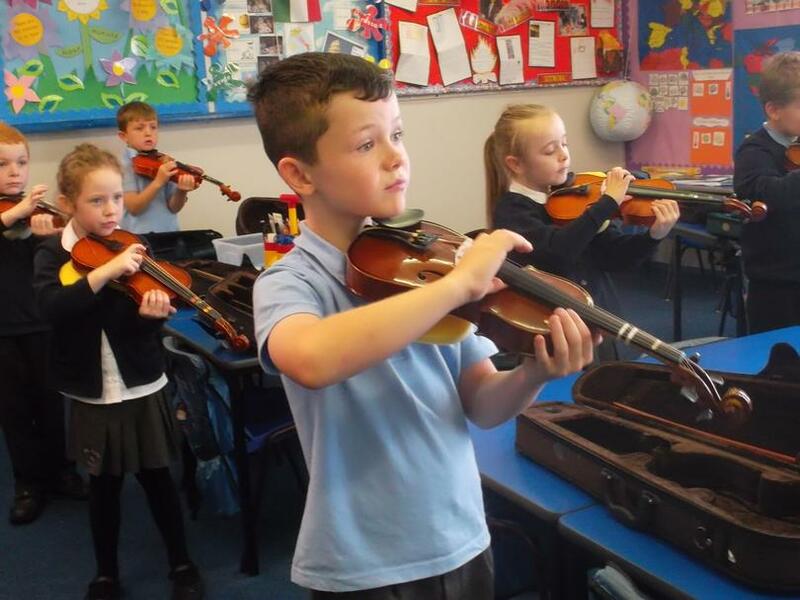 Year 2 children have been learning how to play the violin. 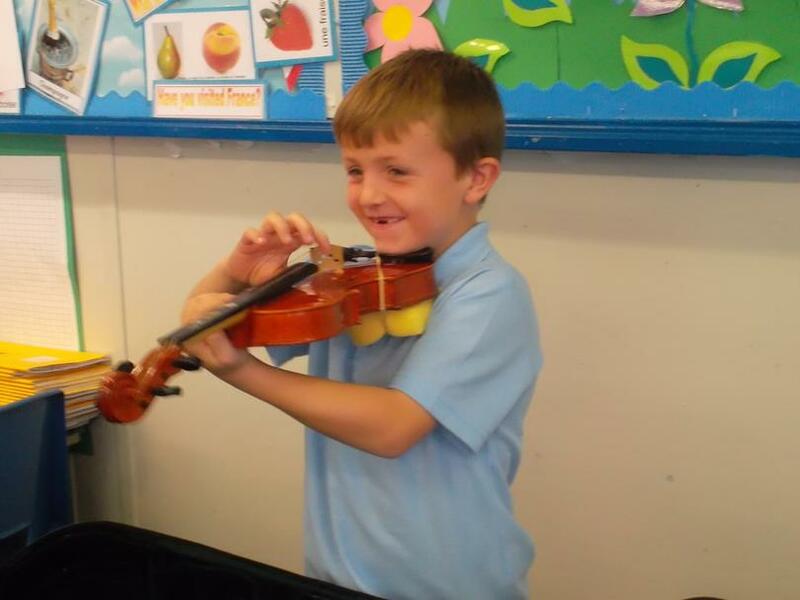 We are having lots of fun and are practising hard for the music morning! 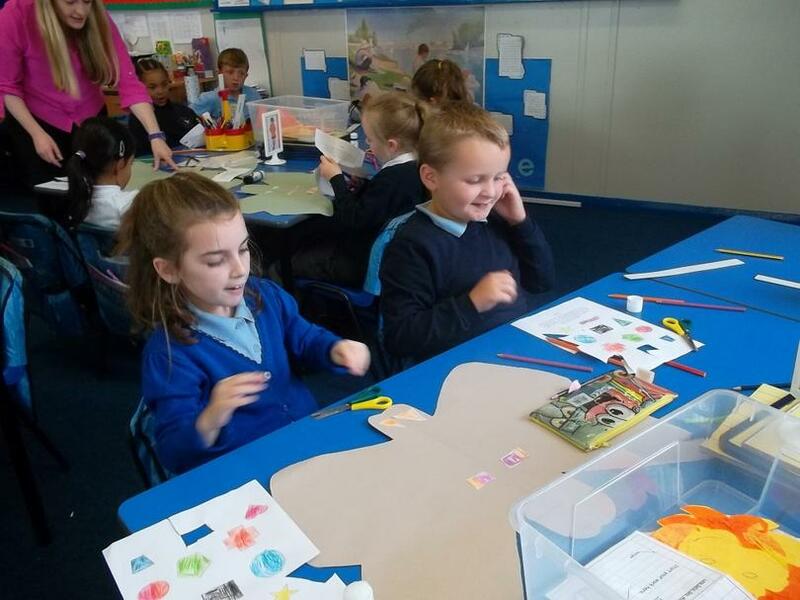 We had a visit from the RNLI. 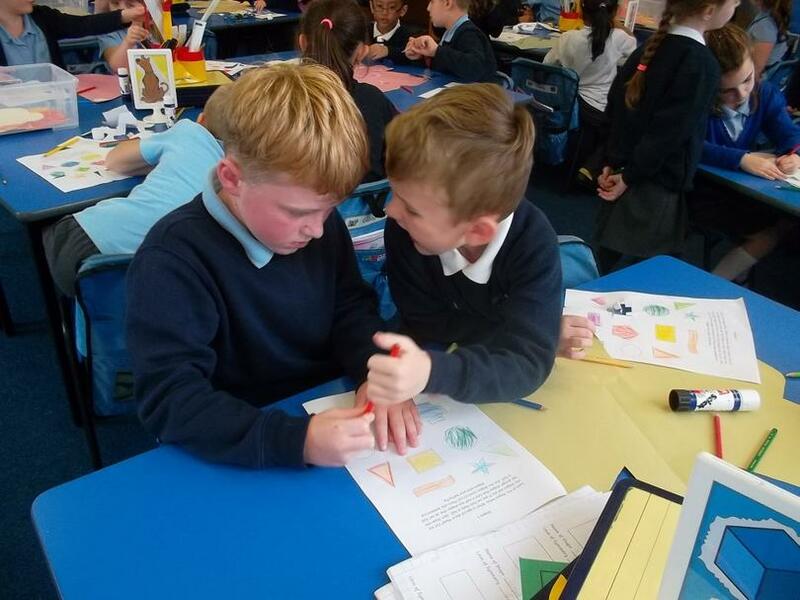 They taught us about water safety, which flags to swim in between and we even got to dress up like a lifeguard! 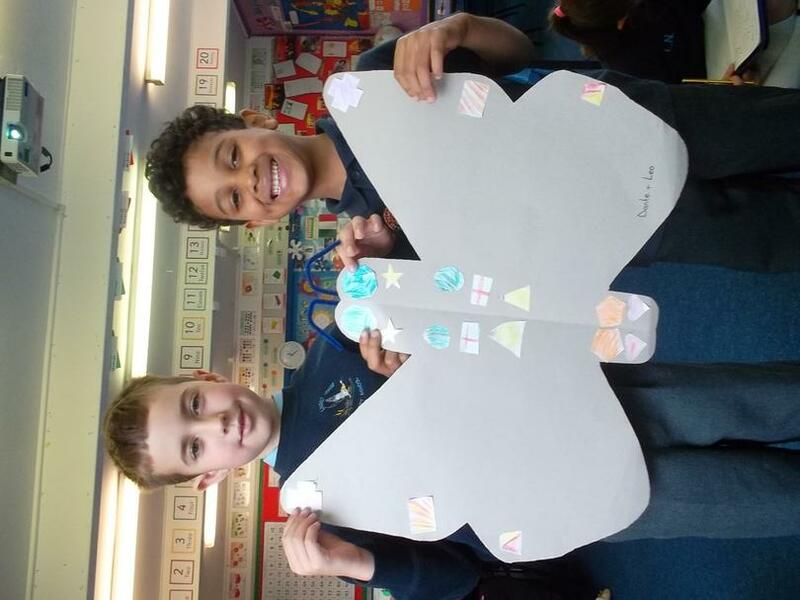 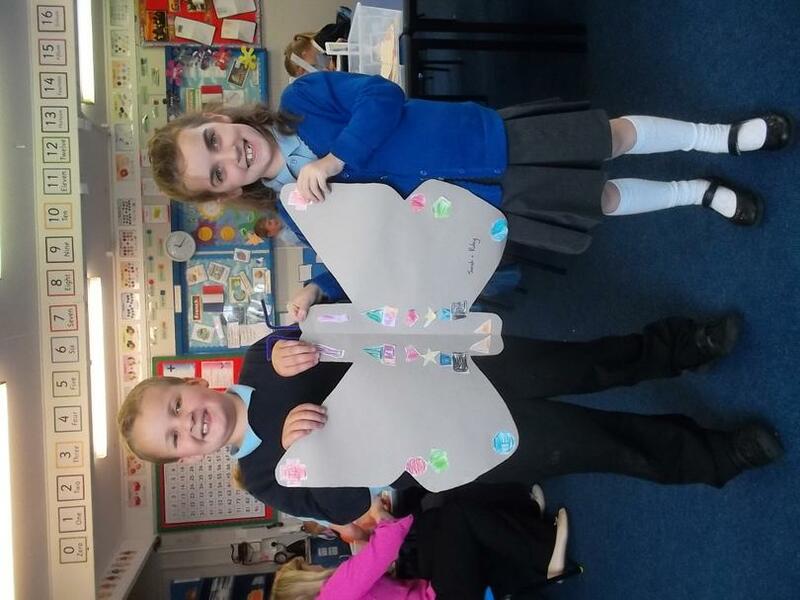 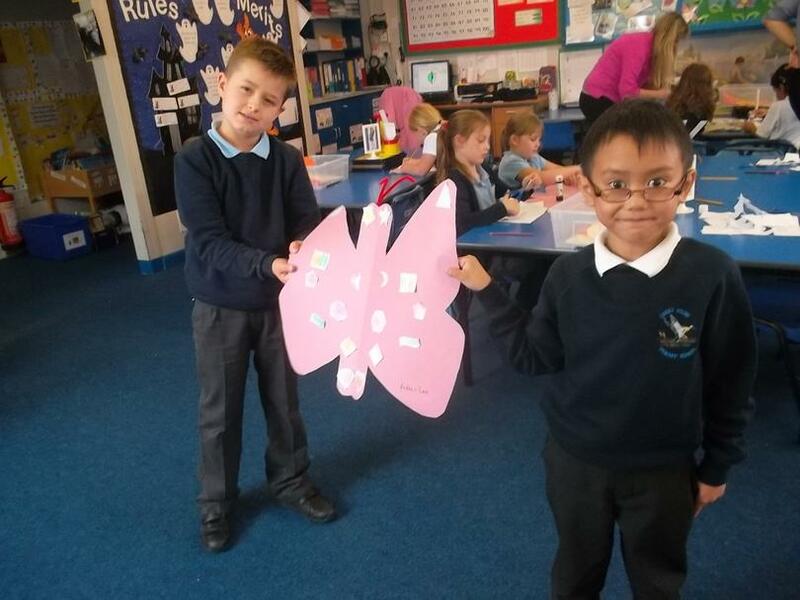 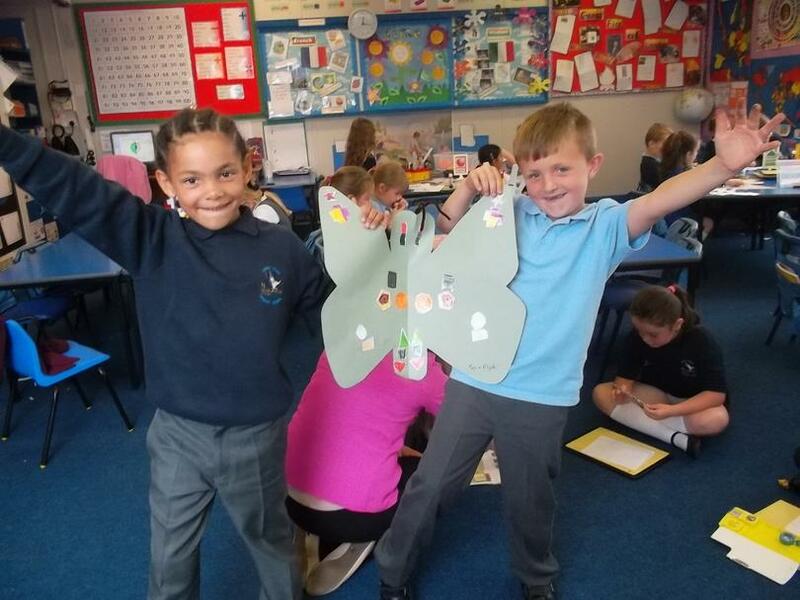 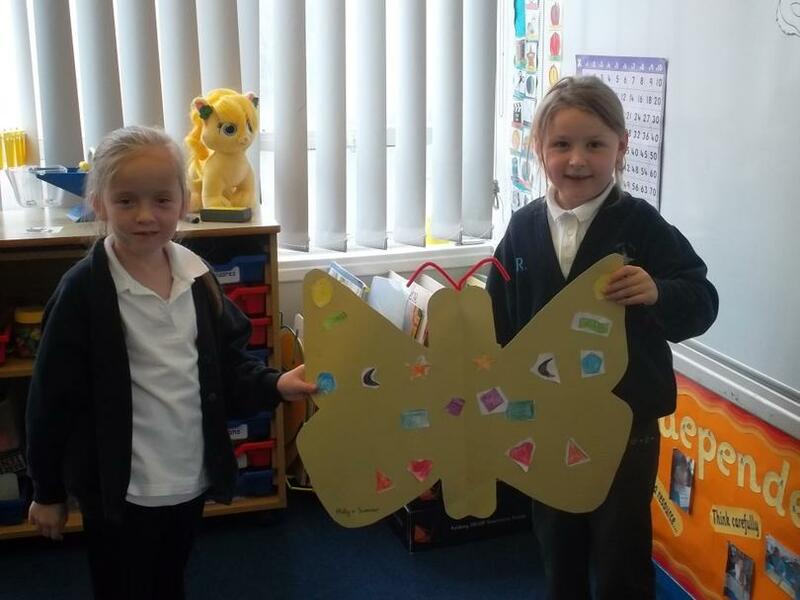 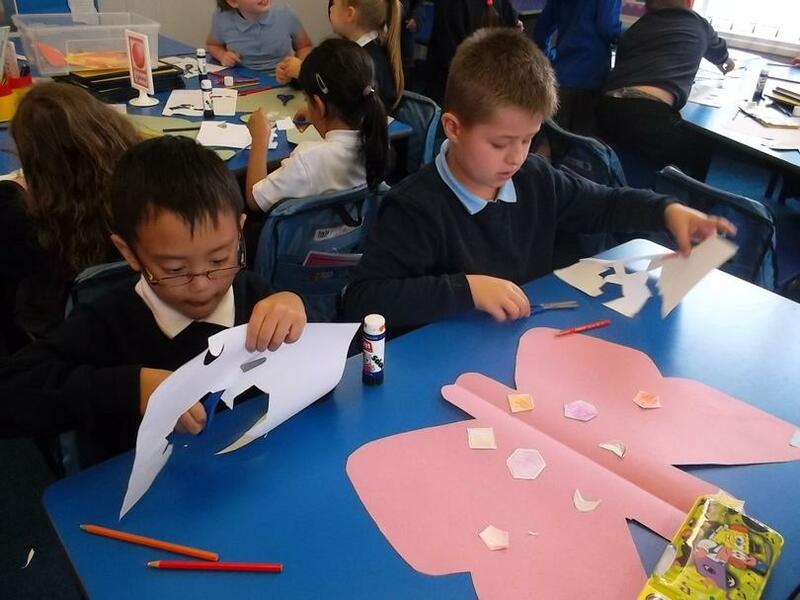 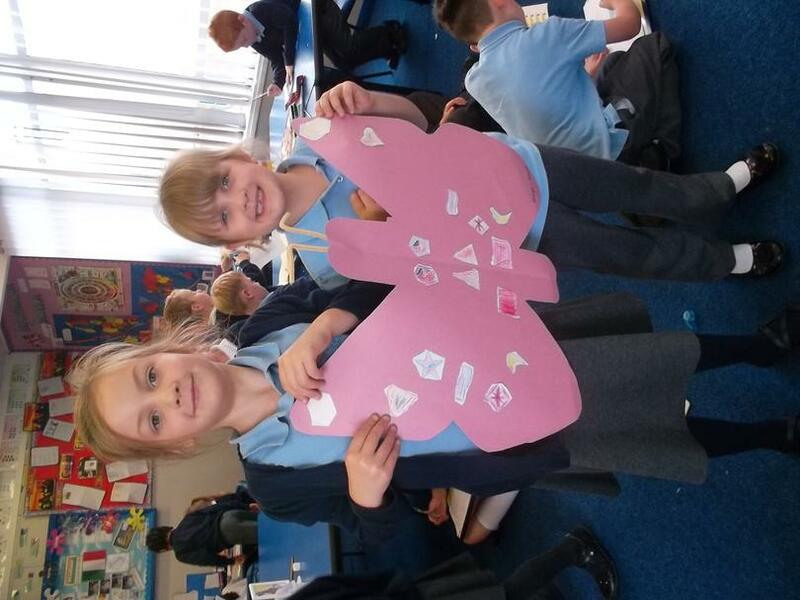 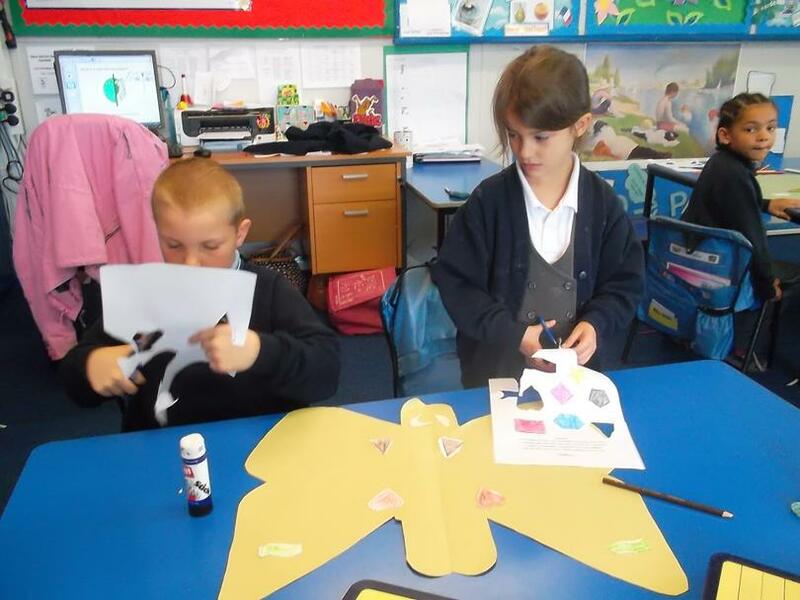 We have made symmetrical butterflies! 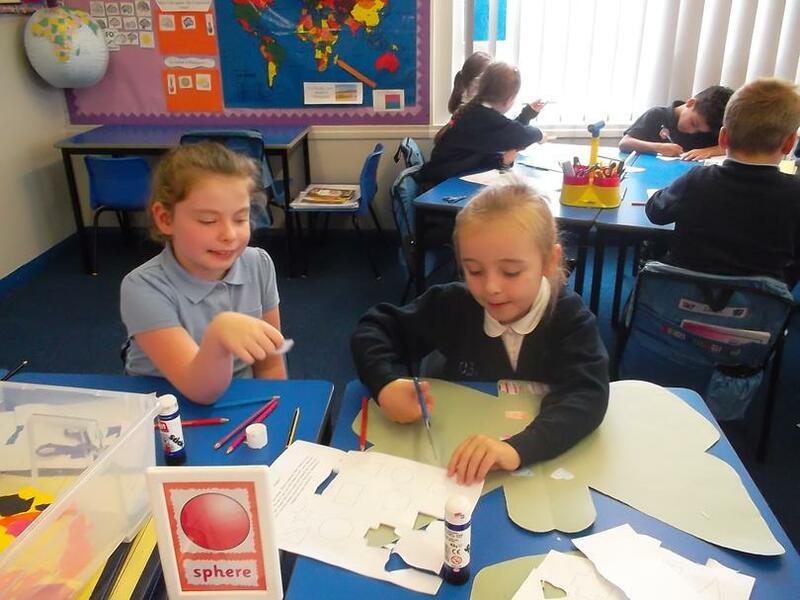 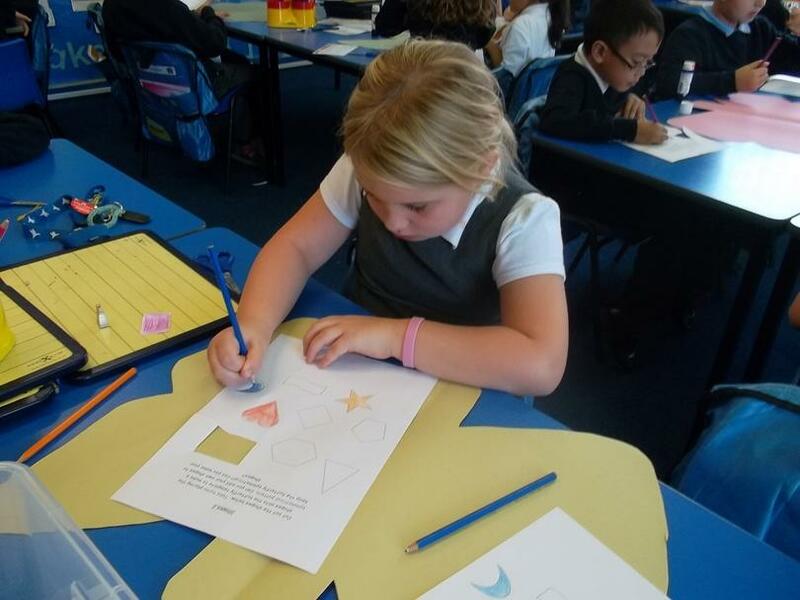 This week we have been learning about 2D and 3D shapes. 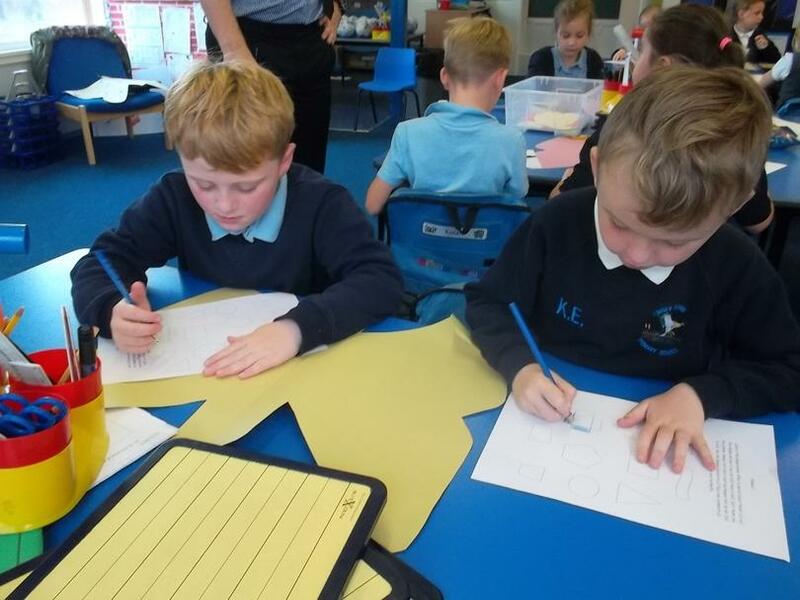 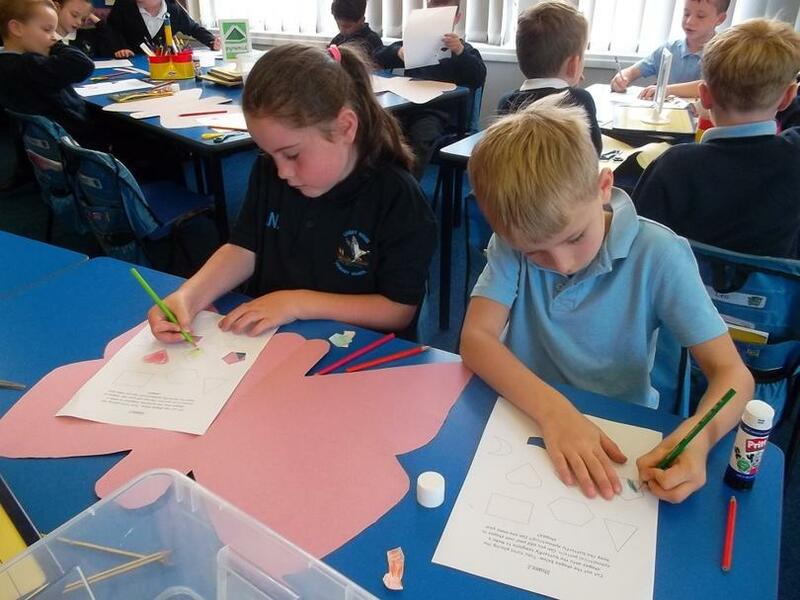 We have been spotting 3D shapes around the classroom and using the properties to describe them. 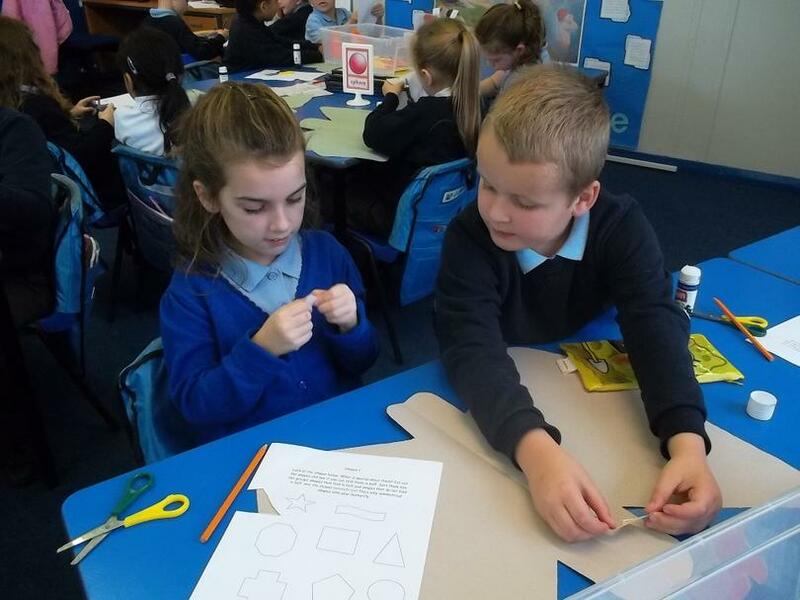 We used random objects from the classroom to build 3D shapes. 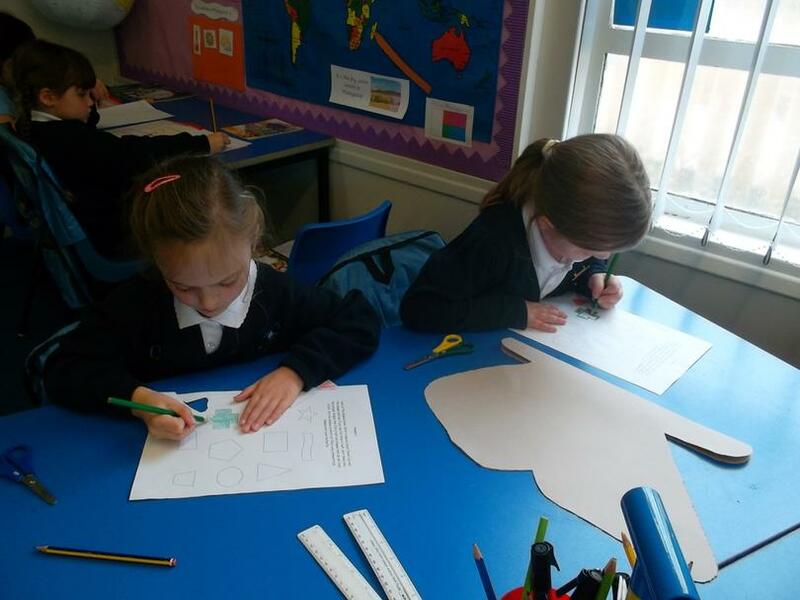 Have a look at our shapes!